Top Ten: London Instagrams to Follow — CROWD. Take a look at these 10 Instagram accounts that showcase the most beautiful pieces of the city. Notting Hill is well-worth the photographic tribute paid to it on Alex Zouaghi's Instagram, A On The Road. A Paris Native, Zouaghi has traveled through China and New York, and is now settled and embracing his new fatherhood in West London. Zouaghi does not have any formal photography training, but seems to have an ability to see through the obvious details and cut to the subtleties and nuances beneath. Notting Hill-based Michael Sparrow is forever in west London taking pictures of pretty flowers, vintage cars and famous pubs. Beginning his Instagram account 5 years ago, Michael considers the platform part of a wonderful photographic journey for his hobby. His feed is romantic and full of color. Run by East Londoner Katya Katkova, this Instagram is a love poem to coffee, cuisine, and the city's coolest spots. Katya, social media manager to coffee company Timberyard, started East London mornings as a publishing project in 2010. After releasing a sold-out art guide to Hackney, Katya adapted the idea into a beautifully curated Instagram account which explores all the hidden corners of Hackney, the city and beyond. Marcel is an extremely famous corgi. Laku Davies' Instagram account is a jaw-droppingly beautiful photographic journey through London and beyond. A mother of two, Davies is a professional photographer with a deep love for her city. Visit her account to see London's architectural marvels like never before. London-based nurse and Instagrammer Michelle Catherine's ('Mimi' to her friends) spends her free time photographing everything beautiful about her local neighborhood of Kensington and Chelsea. Originally from a small town in north-east Scotland, the "crazy cat lady" fills her feed with storefronts, cutesey cafes, and of course, cats. This magical Instagram account is run by Matilde Espírito Santo, a Portuguese native living in Southwest London. After moving to the UK to pursue an MA in graphic design, she got into the Instagram game to combine two of her fave things: photos and the capital. She explores London's romantic side with fabulous shots of pretty shop facades, museums, flower shops, restaurants, and meals that truly make the city look straight out of a fairy tale. Ben Moore, the Instagrammer behind the Be More photography account, fell into photography by accident. Formerly focused on his drawing talent, he began channeling his creative energy into taking pictures of London's iconic attractions. Using drones for epic flyovers, Moore documents the likes of Tower Bridge, Big Ben and the City. 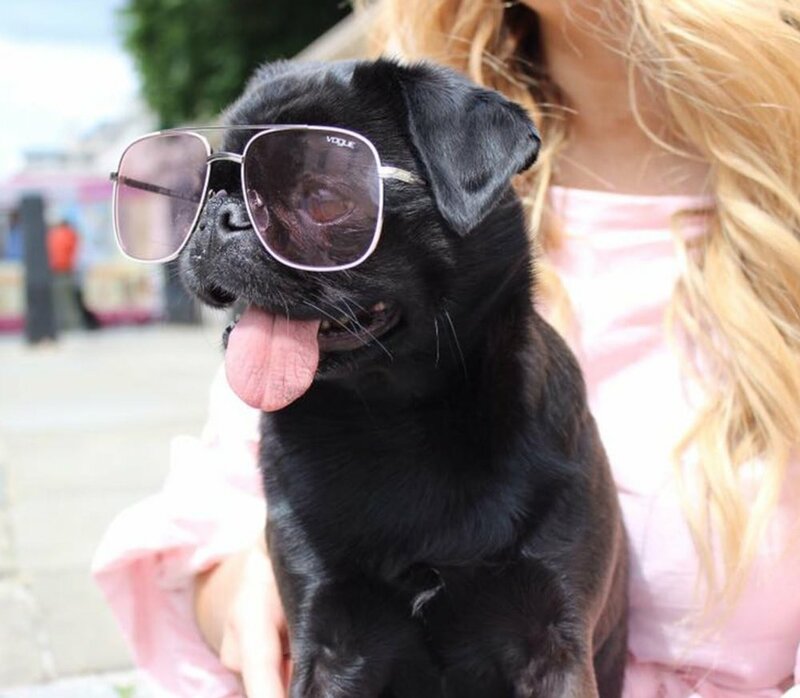 Owned by fellow fashionistas Bradley and Mickey, Suki the pug is melting hearts across Instagram. Based in Greenwich, Suki dons iconic outfits and roams the streets of London, showing off her looks. Suki has worked with Jimmy Choo, Aspinal of London, Marie Claire, and Public Desire, and trust us, you'll be sorry if you don't hit follow. Winner of the Sony World Photography Awards 2018 for Architecture, Peter Li is a London based Wedding & Events photographer. Starting out as a stargazer capturing the stars at night, Li eventually reached out to a number of mentors and broke into the photography world. He still thinks of photography as a "dad hobby," but he likes to capture seemingly trivial moments that become unique once frozen in time by the camera. His work has been featured in Time Out London. For more information about influencer marketing visit www.crowd.agency or email hello@crowd.agency.